I have developed quite a thing for Grenache Noir, and in particular the Oldenburg Vineyards Grenache Noir 2017. If as a Capetonian, or indeed a visitor, you have not been to Oldenburg Vineyards it is WWTV – well worth the visit. 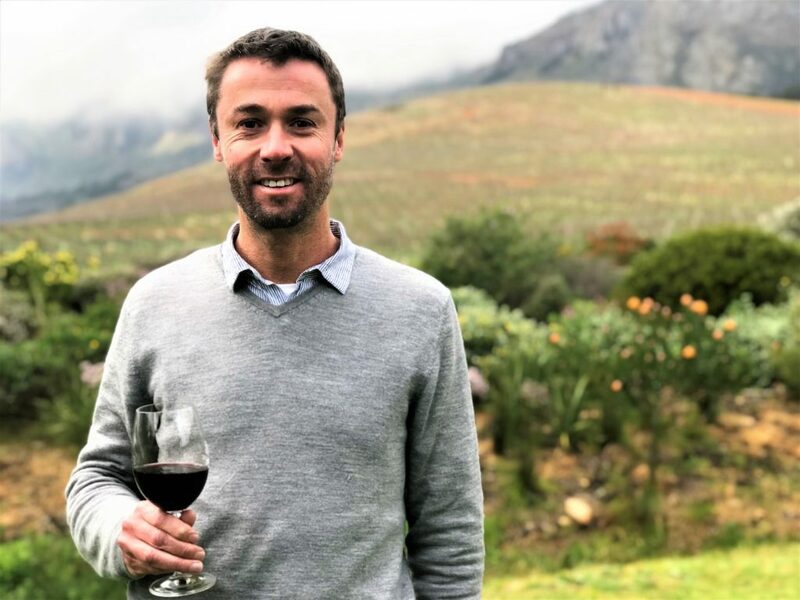 Set amongst the most Alpine of Mountains, with an enchanting little hillock, called Rondekop in the middle, Oldenburg has recently completed its new winery and has a new winemaker, Nic van Aarde, in place for the 2019 harvest. This wine is part of the Oldenburg Vineyards Series, a range of varietal wines and a true expression of terroir in each. The confluence of the 8 Natural Elements that determine the unique terroir is explored through these wines and their real sense of place. The 8 elements are depicted on the intricate new Oldenburg Vineyards Series label design. The weather conditions, the worst drought in living memory, made for a slight decrease in the size of the pick and smaller berries, though they had great colour and amazing flavour intensity. 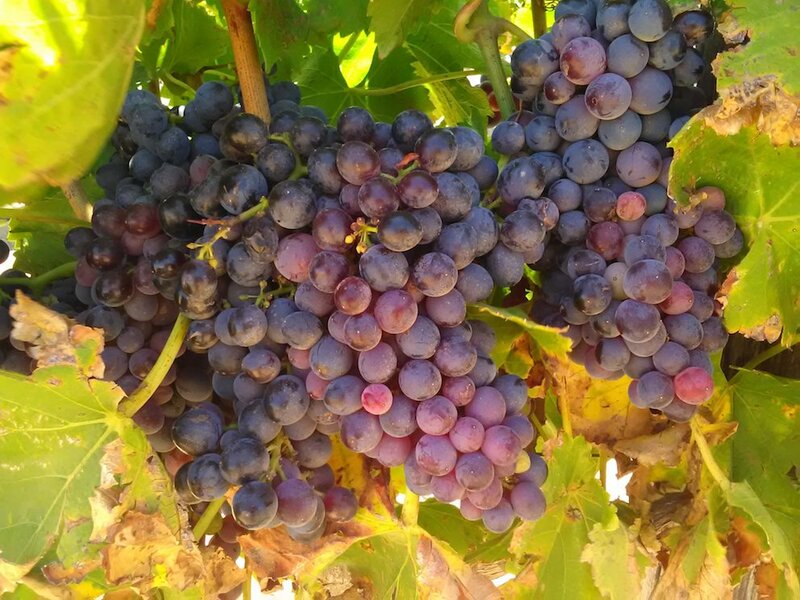 The grapes for the Oldenburg Vineyards Grenache Noir 2017 were hand harvested and then the bunches and the berries were carefully sorted in the cellar. Destemming and crushing took place, followed by fermentation and maturation in 300 litre French oak barrels for 16 months. 28% of the barrels were new and the balance were second fill barrels. The wine was then prepared for bottling. From a Burgundy shaped bottle, closed with a natural cork. The label is a new and very fetching design. In the glass, the wine is a dark bloodplum at the heart, which pales out to ruby tinged edges. The smells almost climb out of the glass at you. Intense red and black berries reminding me of Rote Grütze, a berry dessert a German friend of my mother’s used to make. Crushed roadside fennel seeds and a fynbos herbaceousness are in undertow. The oak and its concomitant spices are beautifully interwoven into the aftertaste, which is long and wanes gently. The tannins are evident, but the whole experience is one of a silken smooth, sappy wine. Chilled, the Oldenburg Vineyards Grenache Noir 2017 makes a perfect sipping wine at sun down, or with some bites before dinner. 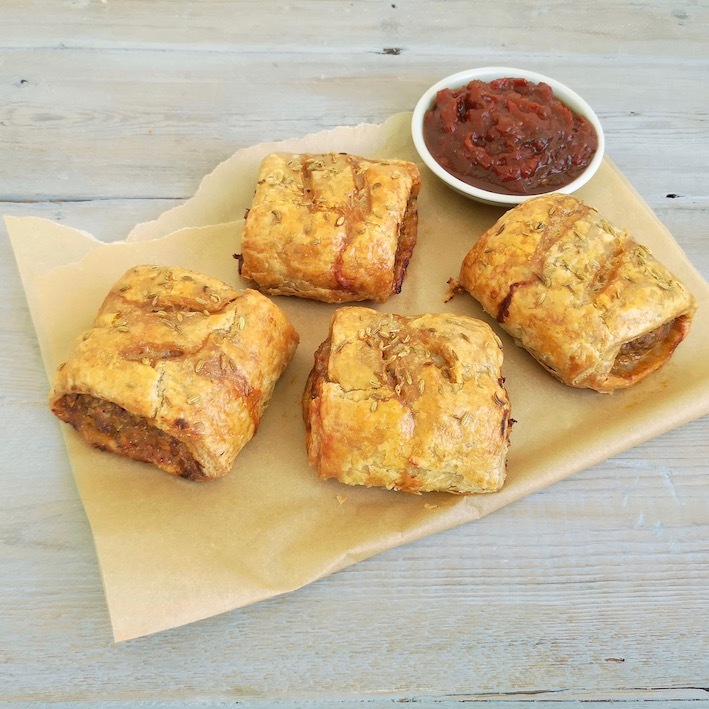 Roberta Muir, a friend from Sydney who manages the Sydney Fish Market Cookery School, is a dab hand in the kitchen herself and her Spicy Lamb Sausage Rolls, hit the spot. Click here for her recipe. Do follow her, her recipes are always fun and different.